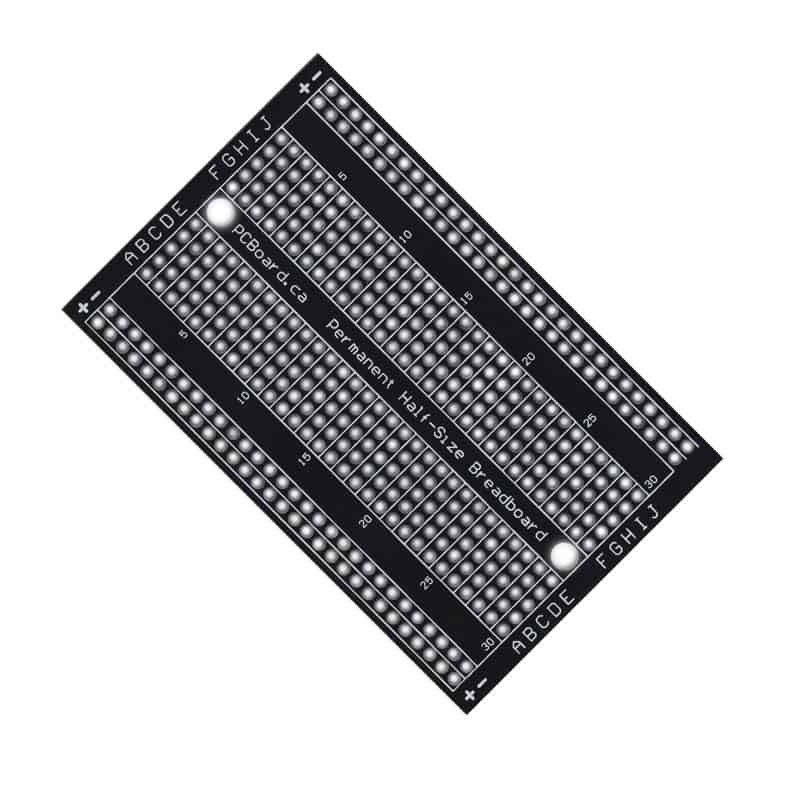 This is our Small Solderable Breadboard for those projects that do not need that much space and has the exact size as our half-size breadboard with the same connections to pins and power rails. 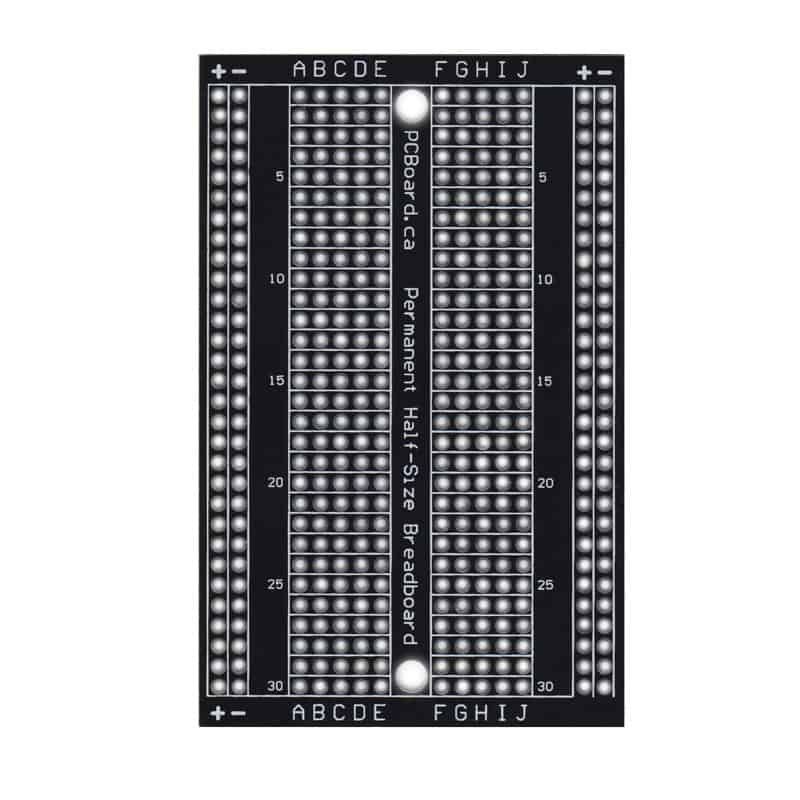 This permanent board is especially useful for preserving a prototype or experiment you just created on a solderless breadboard by soldering all the pieces in place. 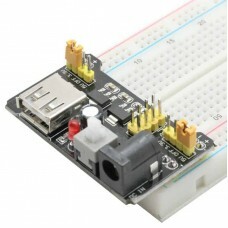 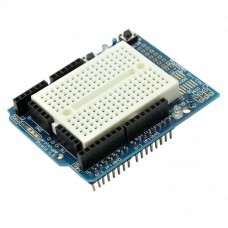 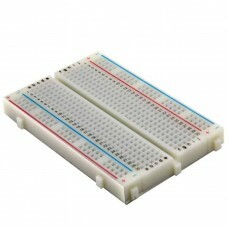 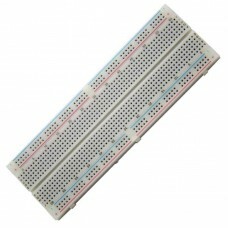 The solderable breadboard also includes a pair of mounting holes along the center-line of the board for mounting. Unlike other solderless breadboard solutions which only have copper on one side, our design features plated-through holes which allows a wire or part to be soldered to either side of the board and there will be an electrical connection to the row or bus. 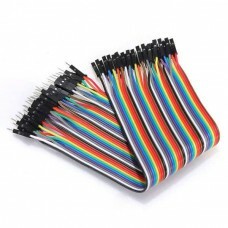 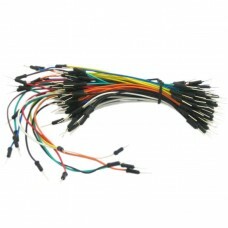 You won’t use up holes soldering jumper wires simply to connect to the single side. 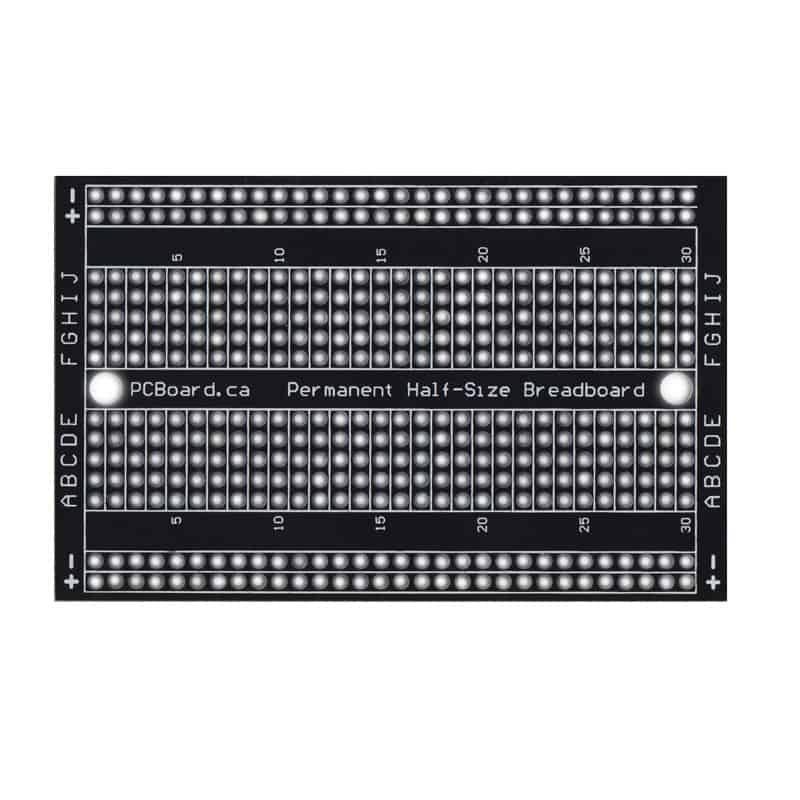 There are a total of 420 connection pads, consisting of 120 power bus and 300 interconnect pads along with a pair of mounting holes.